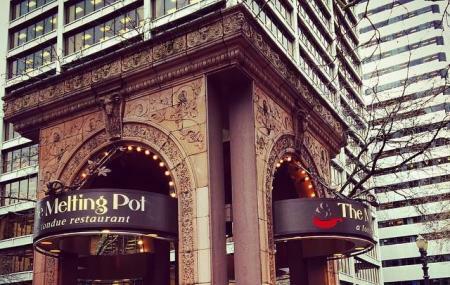 The melting pot, we all have heard the name somewhere or another, especially those who have had a visit from the USA. The popular chain of Franchised Fondue restaurant is one of the best in the world hence it is hardly a surprise to see it here. Located in the Ubud area of Bali, the popular joint will remind you of your home with its range of culinary delights and offerings. The place was originally a small fondue restaurant known for providing a range of vivid fondues delighting guests with flavours and innovation. A dine in this place will not only satisfy your hunger but the soulfulness and comfort will make you create some of the best memories in Bali. The Melting Pot is generally not available on the guided Bali tours, but there are plenty others that are worth visiting. Find the joy in planning a D.I.Y. trip by using this awesome Bali trip planner. Your worry of where to stay in Bali is sufficed by bunch of interesting and comfortable lodging options in the Bali like Gatra Ubud Inn, The Peacock Inn, Kampoeng Joglo Abangan and Bije Sari Suite Bisma. There are plenty of ready-to-book Bali vacation packages available that will cover the major attractions, accommodation concerns including the prime one like how to reach Bali. Prices depend on what you order. How popular is The Melting Pot? If you're itching for a classic American-style saloon, where you'll find billiards, classic tunes on the radio, and even an NFL game the the big screen, this is the place. But you won't only find Americans here, the beauty of this place is in the name. The walls, dressed in banners from around the globe, this very much feels like stomping ground for everyone to come together. A handsome selection of craft beer, by Bali standards, and the food is.. bar food. Which in a place like this, is often what you need; some onion rings and sliders. It's fun place, with heaps of room and games. The owner put on a home game for my friend and I, which as an American who hasn't been home in over a year, that was something special. Fine. I won at pool. Nice chips. Building somewhat cavernous. Great place to hang out and make friends from all over the world. The name fits. Decent food and many kinds of beer to choose from. Playing pool and having a beer, great way to spend a Friday afternoon. Or any afternoon for that matter. Great burger! Western style pub, not for a local experience.